DEARBORN, Mich. – The iconic No. 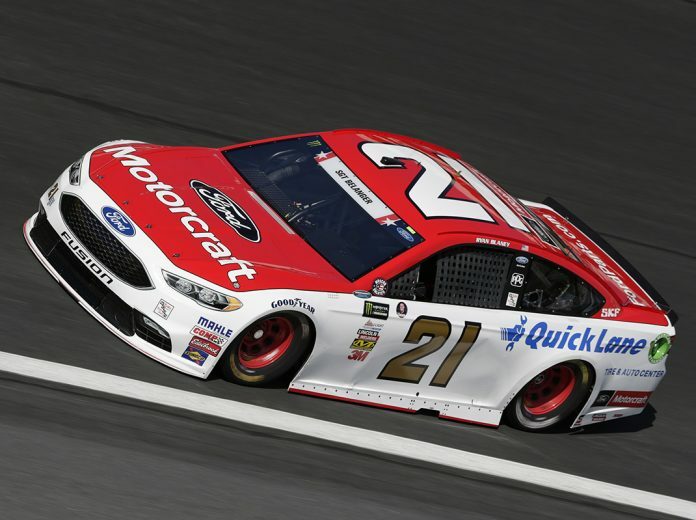 21 Ford Fusion of Wood Brothers Racing will have a very familiar look for 14 races in 2018 as Motorcraft and Quick Lane Tire and Auto Centers have inked extension to remain with the Monster Energy NASCAR Cup Series team. Ford Customer Service Division, the parent organization for Motorcraft and Quick Lane Tire and Auto Centers, signed an extension to be the primary race sponsor for 14 Monster Energy NASCAR Cup events next season. The partnership between FCSD and Wood Brothers Racing began in 2001. It was announced last month that Paul Menard, a 14-year NASCAR Cup veteran, will replace Ryan Blaney as driver of the No. 21 car. Blaney will transition to a third full-time entry at Team Penske in 2018. Menard, the 2011 Brickyard 400 winner, also will have Menards sponsorship on the No. 21 car for 22 races. In more than 380 career Cup races Menard has posted 19 top-five and 58 top-10 finishes.